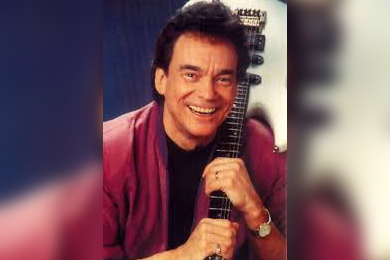 Canadian Country Music Hall of Fame member Ronnie Prophet died on Friday (March 2) at age 80. Known as one of country’s finest all-around entertainers, Prophet is perhaps best remembered in Nashville as the house act in the Printer’s Alley showplace The Carousel Club in the 1970s and 1980s. He was also a recording artist for RCA on Music Row. The ebullient singer, flashy guitarist, comic, TV star, business entrepreneur, witty emcee, songwriter, impressionist and raconteur was noted for his live-wire stage presence and endearingly manic manner. He was a popular guest on Ralph Emery’s Nashville Now TV program on TNN and a regular in the casinos of Las Vegas opening for Danny Thomas and Perry Como. Born Ronald Lawrence Victor Prophet in 1937, he was raised near Montreal. He was entertaining in local venues while still in high school in the 1950s. By 1962, he was performing during summer seasons at a dude ranch in New York State. He moved from there to resort engagements in Florida and the Bahamas. He began performing in Music City in the 1970s. He did comical impersonations, engaged audiences in his act and hooked his guitar up to gizmos that made novelty sounds. Meanwhile, he returned to Canada to launch The Ronnie Prophet Show on CBC-TV in 1973-81. He moved to Canada’s CTV network for long-running stints as the star of the Grand Old Country (1975-80) and Rocky Mountain Inn television series. Other Canadian TV starring gigs included Country Roads (1973) and Ronnie & The Browns (1990-91). In Nashville, he was signed by RCA Records in 1975. His charted country singles in the U.S. were “Sanctuary” (1975), “Shine On” (1976), “It’s Enough” (1976), “Big Big World” (1976) and “It Ain’t Easy Lovin’ Me” (1977). In England, he became the star of Ronnie Prophet Entertains on BBC-TV. Success in Canada continued as well. He won CCMA awards as Male Vocalist of the Year in 1977 and 1978, then CCMA Entertainer of the Year in 1984. He sang duets with Glory-Anne Carriere, whom he married in 1986. These won them the CCMA Duo of the Year award in 1984. Prophet’s solo successes on the Canadian country charts began with 1973’s “San Diego.” Another notable hit in Canada was 1979’s “Phantom of the Opry.” He also scored top-10 Canadian country hits with “The Ex-Superstar’s Waltz” (1982), “No Holiday In L.A.” (1987) and “If This Is Love” (with Carriere, 1984). A total of 31 Ronnie Prophet singles hit the Canadian country charts between 1973 and 1992. He formed his own Prophet Records in the 1980s. He was inducted into the Canadian Country Music Hall of Fame in 1999. In the new millennium, he became a headliner in Branson, Missouri. He was the opening act for George Jones on tour in 2005. Son Tony Prophet also became a country music artist. Ronnie Prophet’s second cousin was Canadian country singer Orval Prophet. Ronnie Prophet passed away in Florida, following kidney failure, with family and friends at his side. Prophet is survived by his wife of 32 years, Glory Anne Carriere Prophet, sons Tony (Kitty), Jimmy (Emily), step children Rhonda, Paisley, Warren Carriere, and Tamara Greer, as well as 12 grandchildren. He will be laid to rest at Avoca Cemetery near his farm home in Quebec, Canada. In lieu of flowers, the Prophet family has requested donations be sent to St. Jude Children’s Research Hospital – Ronnie Prophet Memorial Fund.